The Himachal Pradesh Technical University (HPTU) has cancelled the affiliation of MG Engineering College, Badu, in Mandi district with immediate effect, discontinuing the current academic session. 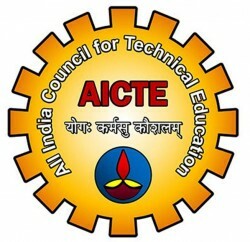 The HPTU cancelled the affiliation of MG Engineering College, Badu after the recommendations of two inspection teams sent by the HPTU to review infrastructure facilities in the college. The institute had been running several B Tech and other professional courses for many years and was one of the first engineering colleges set up in the state. The discontinuation of academic session would result in shifting of about 60 students, admitted in various courses by the college management, to other colleges, as no student was admitted in the college during the current session through counselling by the HPTU. The HPTU has also directed the college management to reimburse the charges and fee collected from students except those paid for the completed session or mess expenses. The HPTU administration will hold a special counselling for these students on December 26 at JLN Government Engineering College, Sundernagar, so that their studies will not hampered. The students will have an option to complete the rest of their courses in any of the engineering colleges affiliated with the HPTU and will have to pay only half tuition fee. MG Engineering College indicated to approach the high court against the HPTU action.